The cost savings VoIP offers to small, medium and large scale businesses has been well documented. 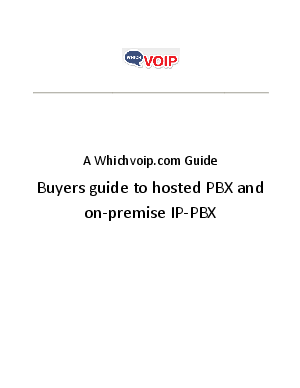 There are however, various implementations of VoIP, and it is important to choose the correct one. Large multi-million dollar corporations may have the capital and the expertise to install, run and maintain an in-house VoIP service. Small to large business may be better off with a hosted solution. This whitepaper explains both the differences and the advantages of each type of service.